There were times when she wanted to quit. 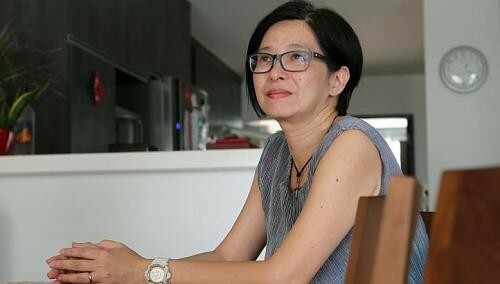 Then, Mrs Lee Yean Wun received calls from some at-risk youth she had helped before - now fully grown and wanting to catch up. Incidents like these made her realise the difference she makes to people's lives. Mrs Lee, 48, stayed on and is now a "master social worker" who has been acting as a mentor in two family service centres (FSCs) since January. With her 27 years of experience, she is one of the seven master social workers appointed by the National Council of Social Service, as part of a mentoring scheme announced in June last year. They are assigned to various centres for six months each time. One of the aims of the scheme is to enhance the way the centres operate. For example, master social workers - who have at least 10 years of experience - can give tips on how to improve the social service programmes. Ms Ang Bee Lian, chief executive of the National Council of Social Service, said: "The scheme will also help to create a culture where there is sharing of resources and cross-learning of best practices, and will bring social services to a higher level." A spokesman for the council added that it will meet the master social workers regularly to monitor their progress, understand the challenges faced and provide the centres with further resources. Younger social workers will also receive mentoring and support through the scheme. This will improve "manpower capabilities", said a spokesman for the council, and help to "develop and retain manpower in the social service sector". There is an estimated annual shortfall of about 150 social workers in Singapore, said a spokesman for the Ministry of Social and Family Development. Currently, there are more than 1,600 registered social workers and social service practitioners. But this is not enough to meet the "increasing demand in the social service sector". The scheme will also help the centres to provide better service to clients and the community, said Mr Daniel Chien, chief operating officer of the five FSCs under Care Corner Singapore. He said: "The master social workers, having numerous years of social work practice, wisdom and experience, are able to provide insight for us to improve our practices to make them more realistic and implementable." For Mrs Lee, who has a master's degree in social work, it is a two-way street, as she feels that she gains insight from the experience. She said: "I learnt to be sharper and clearer when I relate my experiences and give pointers, so I can be of help. "It's been a fun experience, and it's exciting and heartening when I meet workers who are enthusiastic and passionate about what they do."